As usual, the word-wise Phil Liggett phrased it appropriately. 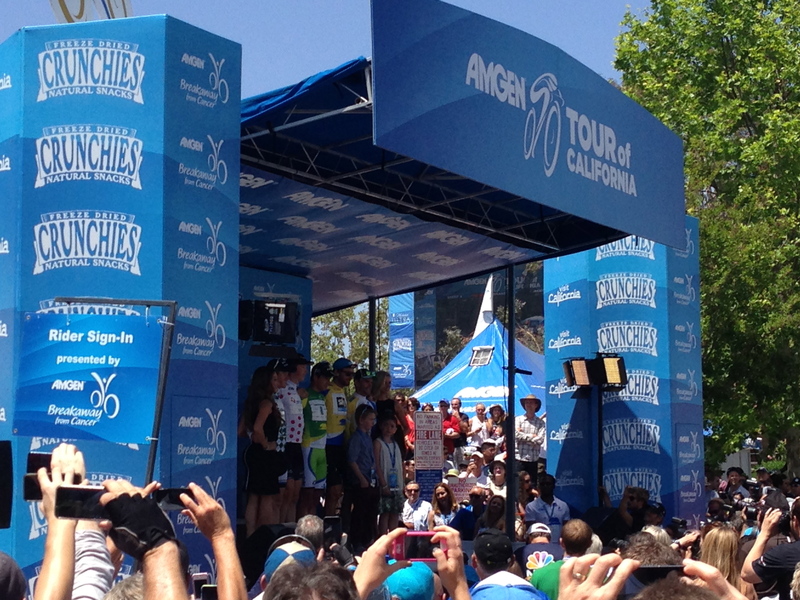 For the Missile’s victories in the first and last stages of this year’s Amgen Tour of California, the past week has been nicely held together by “Cavendish bookends,” much to Peter Sagan’s disappointment no doubt after clearly gunning for two in a row to wrap up the event. In the end, with Sir Bradley Wiggins’ overall victory and Mark Cavendish’s comeback performance, it’s plain to see British legs rule California roads. 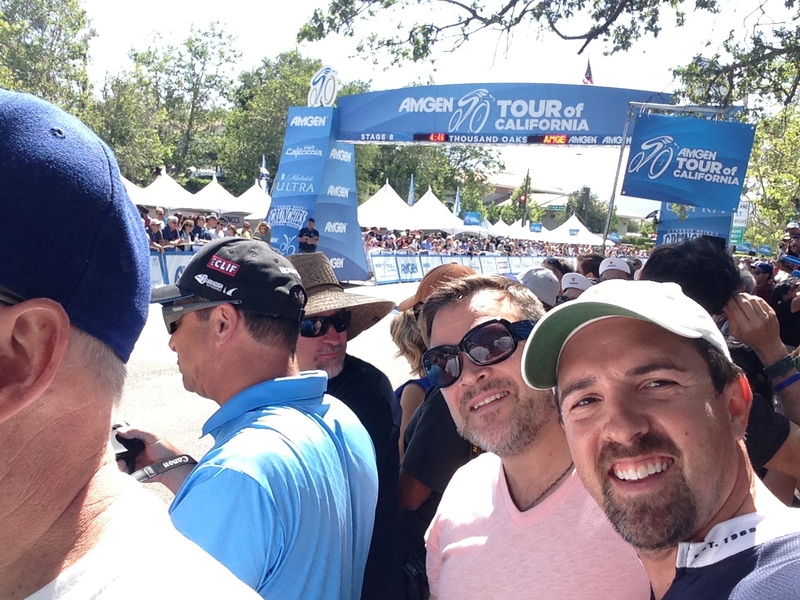 I myself am thrilled to have been right there, live at the final finish line in Thousand Oaks, even as the peloton flew by faster than most our heads can turn! 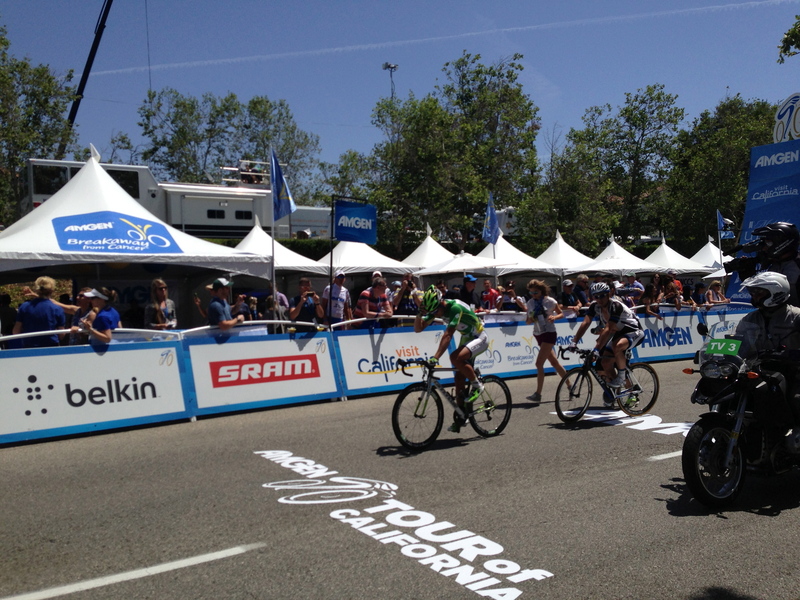 Our vantage point du jour. They’ll be coming, and quickly! 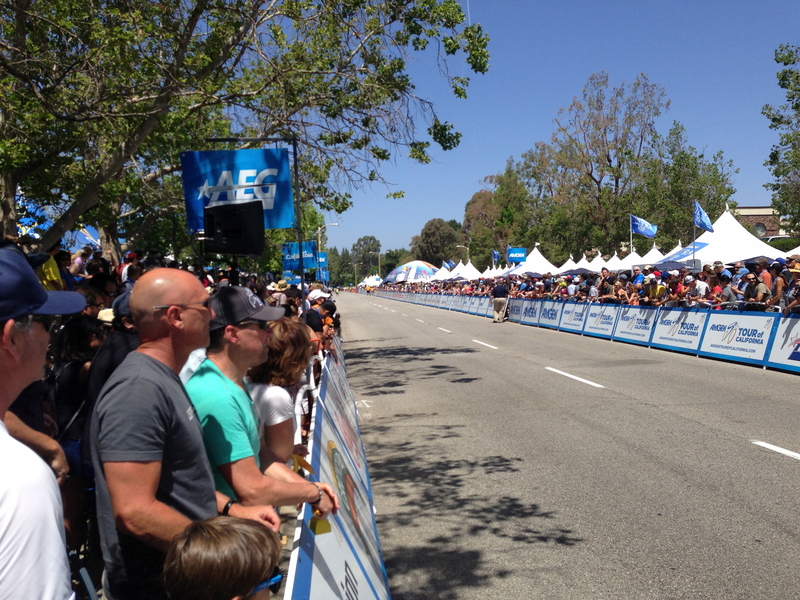 There’s an uncelebrating Peter post-finish. All the winners are on the podium.